What if I were to tell you there is a secret that can help students improve intonation, tone, blend, balance, and more? You’d want to know the secret, right? When students interactively listen, they open the door to the next level of musicianship, the level beyond just playing the correct pitches and rhythms. Below I’ve shared some things that have worked for me to help students take this important step. I have been a judge/clinician at many festivals and have heard countless marching, jazz, and concert bands in my time. One of the biggest challenges a band faces is playing in tune. While there are many approaches to developing intonation, one suggestion I have is to avoid an over-dependence on the tuner. Using a tuner can put the emphasis on the eyes to make the change. How many times have we tried to help a student by giving them the answer? When you tell a student who played a note sharp to pull out, do they subsequently play in better tune? If so, for how long? Unless a student can recognize whether or not they are in tune, they are most likely not going to play in tune because their focus isn’t on listening. Consider instead the power of playing with sound sources and learning to make adjustments. One way we can work on this is by encouraging students to practice with a drone. There are many ways to produce a drone, but this YouTube video offers an easy resource. After simply reminding a student how to shorten or lengthen their instrument, we can let them experiment while playing along with the drone, until they discover how to make the beats stop, or how to play in tune. This is leading them down the road of playing every note in tune. We can support this by having students tune up to a drone before rehearsals, too. There are many resources to help students use drones including both TE Tuner and Tuning Drones. Drones can also be useful during rehearsals. When playing in key signatures, think about playing the fundamental and perfect fifth while rehearsing music in the specified key signature. It is important for a student to learn and develop the skills necessary to not only identify the problem, but to also learn the appropriate corrective actions. When I was a younger director, I remember hearing the words “characteristic tone” on a judge’s tape for the first time. I had been teaching for many years and it was the first time somebody had ever used those words in a context that made me reflect upon its meaning. Where do students get role models for their instrument tone? The best way is to provide students with opportunities to hear professional musicians in a live setting. This can include suggesting concert attendance and having guests come to your school. School performances also offer an opportunity to demonstrate how “characteristic tone” in a concert band setting may not be the same as in a jazz or other setting. Recordings of professional musicians offer another resource. In addition to YouTube and other web options, you might also consider SmartMusic, which typically has professional recordings of ensemble pieces you might actually be playing for your students. You might suggest an assignment where students listen to the recording three times before playing a note. Again, listening is the key. As a result, the clarity of the sound, as well as the quality of the sounds, are extremely important. When students listen to themselves it should start with “Is my sound clear?” Making recordings and listening back can be a huge part of this. Using technology designed for student feedback like SmartMusic Assignments, Google Classroom and Canvas embedded into your class work can really enhance student performance and reflection time for the student. SmartMusic facilitates listening, making it easy for students to hear their own performances and recordings of professional musicians. Try it for free! With practice at matching pitch, and experience in listening to professional musicians for a model of tone, students can apply their listening skills to comparing what they’re playing to what others are playing in areas other than pitch, too. To help, you might ask leading questions, like “Which section of the ensemble do you think is louder here?” and “What can you do to help them be heard better?” You might ask them to tell you whether the flutes are playing whole notes or quarter notes; if they can’t they perhaps they can’t hear them. What could they do to help? One big realization I have experienced in the classroom is that students often need more direction on how to hear. Clarity of sound from an ensemble can be hindered by the lack of focus on what students need to listen to. I have always been a big fan of having students listen across the ensemble. Can the trumpets hear the flutes? Can the flutes hear the bass clarinets? We need to get students to value the clarity of their sound over the volume of their sound. When playing performances for students, I ask them if they can hear all instruments at all times and then start a discussion on how to accomplish this. Does playing soft make it so a note does not speak with clarity? What do the masters sound like when playing soft? What are they doing? How are they accomplishing perfect sound with lower volumes? Can you achieve good balance and blend without producing good sounds? Blend, in my opinion, is a little more complicated than balance. The entire ensemble needs to become one entity and when you are sitting in an ensemble, it is not as easy as listening. The teacher becomes the focus for blend. Recording rehearsals and allowing comments with student reflection time become ever more important. Are students playing with a good characteristic tone? Are students playing in tune? Do you have to tell the students to play with good tone and do you have to tell them to play in tune? Have students play so softly they can’t hear themselves. Do this for all levels of dynamics. 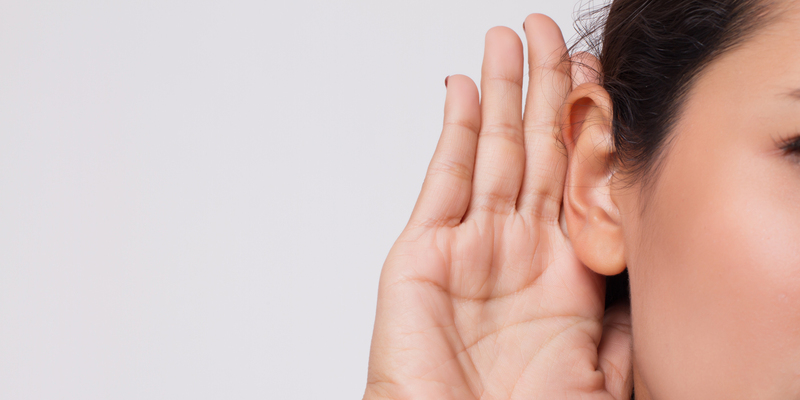 Simply ask, “Can you hear yourself over …?” Set the focus and give them the reflection time they need to learn. When I speak of notes, I like to break the note into three separate parts. The beginning of a note, the right side of the note, the how notes begin to produce a sound. For a wind musician, this is where the interpretation of the attack begins. In my opinion, there has to be more to an articulation then yes or no. How does one teach ideas such as the legato? When doing a transcription, how does one go about teaching the interpretation of attack? I have found the use of purposeful words extremely helpful. Students need to write down syllable words on their music so an ensemble can have a unified approach in the articulation of the note. Where do these syllables come from? Listening to the original or a performance that supports what you wish to sound like. If your band is going to play Dvorak’s “New World Symphony,” can your students successfully interpret the piece simply by reading music on a page? The middle of the note provides the timbre. Although I mentioned characteristic tone above, you can do much more here on an instrument by instrument level. How clear is my sound? What does my vibrato sound like to you? Do I like my sound? I can put much of my learning on this into one single moment that changed me forever as a teacher. It was a smaller marching band (about 90 students) and they performed a release so well, it resonated (outside, mind you) so beautifully and with such control that I actually sat and pondered my understanding of what just happened. This was 2005, I still think of this release today. How did he get his kids to not only understand how to perfectly tune, balance, and blend a chord outside, with maybe 60 wind players, but also to perform it from soft to loud with such a resonance in a release – and why was it so amazing? I have been studying releases and playing them for students ever since. I want what I hear in my head to be in the heads of every student. SmartMusic is great for this as you can set music to a point and have students listen to the ensemble as well as loop sections so kids can get more than one attempt. There are many more parts to interpretation. How does one interpret a march, a swing tune, a pop song, a classical symphony? We sometimes rely on the notes and rhythms on a page and forget the power that comes with knowledge of how to interpret. We need to give students the same opportunity to hear and understand this knowledge as well. How does a student learn interpretation without the opportunity to reflect? Playing chorales offers a perfect opportunity for students to put their listening skills to work on all of these areas. Just as in our discussion of intonation, however, remember the important difference between telling students what to do and aiding them in figuring out what they need to do for themselves. In the end, checking for understanding can be accomplished in many ways. As music teachers, we can get spoiled with students using their instruments to give us the answers we ask. Keep finding those creative ways to have students show you the words you speak in rehearsal make it to the music they perform. 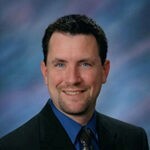 David Duarte is currently the fine arts/pe-health specialist for the Deer Valley Unified School District. He also teaches music humanities and theory for the Deer Valley Online Learning Program. For the past 26 years, he has taught high school band and chorus, performed classical saxophone with the Tempe Wind Ensemble, and has provided private saxophone instruction. Some of his favorite moments include the Deer Valley High School jazz ensemble’s invitation and performance at the 2006 Midwest Clinic and being featured in Scott Lang’s Leadership Book Leader of the Band.